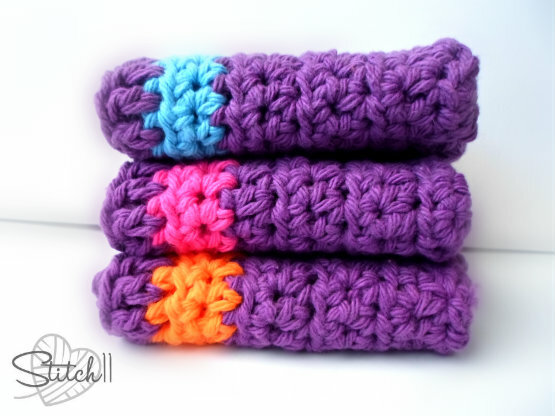 I have made many other washcloths. Each time, I try to improve them for my own liking. First I had to learn about the importance of sizing (all purpose cleaning), hook size/holes in the washcloth, and the direction you stitch = the direction it stretches and stretches. 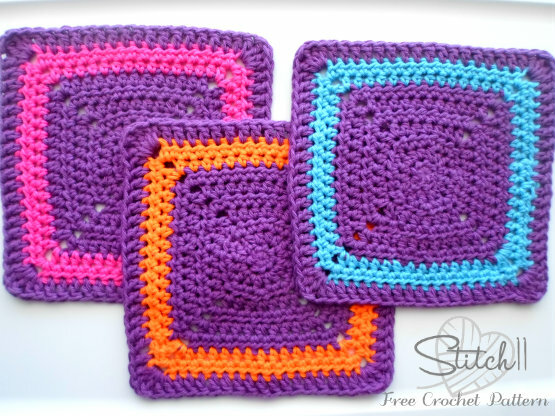 Although I love all of my washcloths from the past… I wanted to make one that is perfect for ME! One that stretches at all direction so it doesn’t end up oblong. One that has the right texture for scrubbing syrup off the counters and also gentle enough for my family to use. Cut yarn, leaving a tail for weaving in. I love the dish cloth pattern! I’m making a set for my mother for her birthday, she has everything, but I’m betting she doesn’t have handmade dish cloths!! Thanks so much for sharing, they are perfect! Love this pattern! Works up quickly and looks great!